Gov. Schwarzenegger recently vetoed California’s AB 1328. AB 1328 would have provided that a homeowners association could enter into a contract for a water or energy efficiency program, for a term of up to five years, if the board of directors reasonably anticipated that the contract would result in verifiable savings to the association. Gov. Schwarzenegger recently vetoed California’s AB 1328. AB 1328 would have provided that a homeowners association could enter into a contract for a water or energy efficiency program, for a term of up to five years without owner approval, if the board of directors reasonably anticipated that the contract would result in verifiable savings to the association. This would have allowed HOAs to take advantage of long term savings and actively engage in energy conversation which is essentially mandated by California’s AB 32. However, the Governator vetoed the bill claiming that it was unnecessary and would override the requirement that most contracts which are longer than one year obtain homeowner approval. AB 1328 would have allowed HOAs, and by extension homeowners, the ability to obtain long term savings if they were able to locate vendors to provide extended water and energy conservation programs for their community. Boards are required to use sound business judgment and protect the assets of an Association. Further, under the bill homeowners were to be notified of the terms of the contracts and provided an opportunity to be heard at an open meeting prior to the Board’s execution of any such contracts. It seems that there were sufficient protections in place to allow Boards to explore and enter into these types of long term contracts. Remember, Boards would not be required to enter into such contracts. The bill just would have given Boards the flexibility to enter into longer term contracts if sufficient savings could be found. It is disappointing that while California’s State government continues to impose regulations on local entities such as HOAs, it also deprives them of tools which would allow them to meet the requirements at a reduced cost. The California Association of Community Managers (CACM) and the California Association of Realtors (CAR) both supported the bill. The Executive Council of Homeowners (ECHO) was neutral. The Nevada Senate voted Monday for an alternative energy bill that would limit a homeowner association’s ability to restrict the installation and use of solar energy systems. Sen. Mike Schneider, author of SB 114, says the bill strengthens existing laws that already prohibit homeowner associations from interfering with installation of solar energy systems. 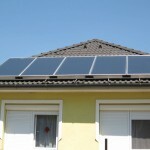 Currently, a homeowners’ association in Nevada can impose restrictions that, while not prohibiting solar energy systems, could make them so much more costly and so much less efficient that the restrictions effectively act as a prohibition. Under the bill, the director of the Nevada Office of Energy would have final say as to whether a restriction imposed by a homeowner association violates the rights of a homeowner to use or install a solar energy system. The proposed bill also deems any restrictions that reduce efficiency of solar energy systems by more than 10% to be unreasonable. Coupled with California’s Climate Change Solutions Act, a clear trend is emerging requiring HOAs to focus more attention on all aspects of energy efficiency.